If you’re a regular Facebook user, you’ll probably have noticed that conversations on there can get pretty heated, to say the least. A friendly post can descend into flame wars in a matter of minutes. 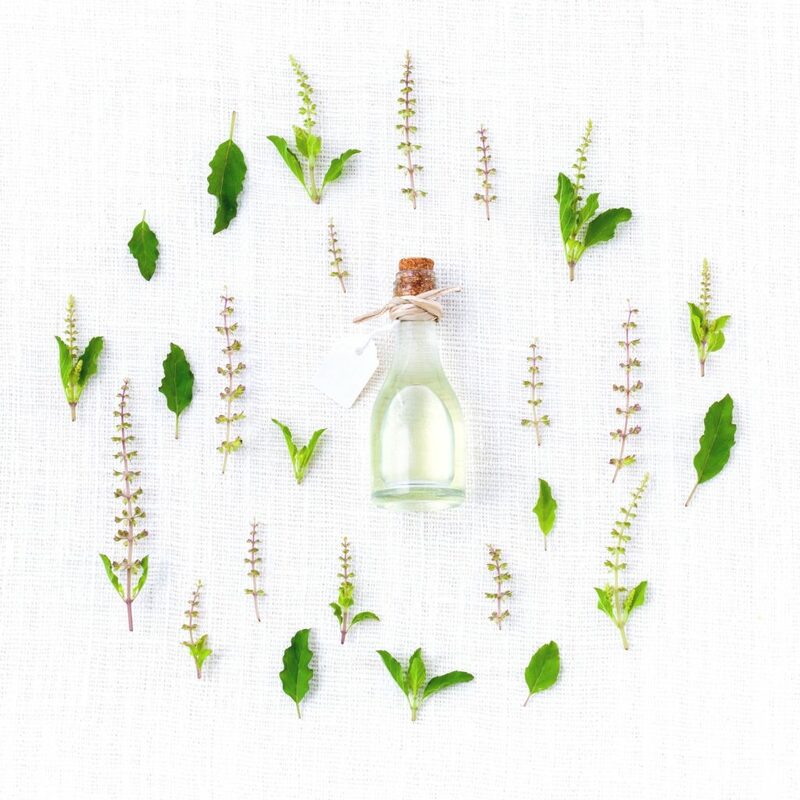 As essential oil popularity explodes, so does the amount of unauthorised information. We’re now facing information overload from an array of conflicting sources – much of it inaccurate, unsafe or outright dangerous. I’ve previously written about what to do when we see bad advice, but I thought it would be useful to talk about logical fallacies and how they relate to aromatherapy advice. A logical fallacy is a flaw in someone’s reasoning that makes their argument invalid. In other words, there is an error in their logic. Why is this relevant? Well, understanding logical fallacies helps us to assess the validity of statements and arguments that we come across in everyday life. The ability to recognise a logical fallacy is a useful tool when you’re trying to establish if a source can be trusted. It’s easy to fall into the trap of using logical fallacies when making an argument – in fact, we’ve probably all done it at some point! You might have never heard of the term ‘logical fallacy’ – but I’m fairly sure you will be familiar with some of the following examples! For the sake of brevity, I’ve only included examples that are relevant to the sphere of aromatherapy and health. If you’re interested in learning about this field of philosophy in greater depth, I’ve included some links at the bottom of this page. 1. Anecdotal fallacy – This is an argument that relies on a personal example or isolated experience, rather than sound evidence or scientific fact. The classic example is “My dad smoked for 60 years and never got lung cancer – therefore, smoking doesn’t cause lung cancer!” – despite scientific research proving an unquestionable link between smoking and lung cancer. When it comes to health advice, anecdotal fallacies are one of the most common. But it’s important to remember that anecdotal evidence does not constitute a valid argument. Just because it worked for you, your mum or your best friend, it doesn’t necessarily mean it will be safe/valid/effective for anyone else. 2. Appeal to nature – This is to argue that something “natural” is more valid/ethical/superior than other options. This is a common logical fallacy that we see in aromatherapy all the time. Clearly, just because something is natural doesn’t mean it is safe to use without any caution whatsoever. 3. Bandwagon fallacy (Argumentum ad populum) – This means to argue that something must be valid if everyone else is doing it. It’s not difficult to see the error in this logic! As your mum used to say: if they all jumped off a cliff, would you? 4. Appeal to tradition – This is when something is validated on the basis that it has traditional or long-standing value. It is also used to justify applying essential oils in a particular way (e.g. neat in the bath) on the basis that you’ve “always done it that way”. 5. Post hoc (False cause) fallacy – This is the classic mistake of assuming that X caused Y because they occurred one after the other. Correlation does not necessarily mean causation. False dilemma – An argument that implies an issue is purely black or white, rather than acknowledging the spectrum of grey area in between those two options. Appeal to authority – This is when it’s claimed that something must be true because a person of authority said so – for example, a celebrity endorsement. Argumentum ad hominem – Rather than responding to a question, a person may choose to reply with a personal attack to criticise the one who challenges them. The aim is to cast doubt on their personal character in order to imply they are wrong. This is similar to a genetic fallacy, where a person is discredited on the grounds of their origin. Appeal to flattery – Sales pitches will often flatter you, so that you’re more likely to follow their advice or believe their claims. Slippery slope – Also known as a domino fallacy, this is when a person claims that taking one small step will inevitably result in an extreme chain of events – therefore, the small step should never be taken. In other words, if we allow X to happen, then it will be Y and whatever next?! Tu quoque fallacy (“You too!”) – A way of rejecting someone’s statement by turning it back on them and claiming they don’t follow the advice themselves. This clearly misses the point, and doesn’t address the original argument. Shifting the burden of proof – Rather than providing evidence for their own argument, a person will challenge others to prove them wrong. Red herring – An attempt to change the subject in order to detract from the real matter in hand. The following example is actually based on a real comment that someone left on my “10 Reasons to Avoid Raindrop Therapy” video on YouTube. Appeal to novelty – The argument that something is better just because it’s new or modern. Moralistic fallacy – This is making the mistake of assuming that things will act in the way you expect, according to your own moral code. Argument from ignorance – When a person argues that something must be true because it can’t be proven false. 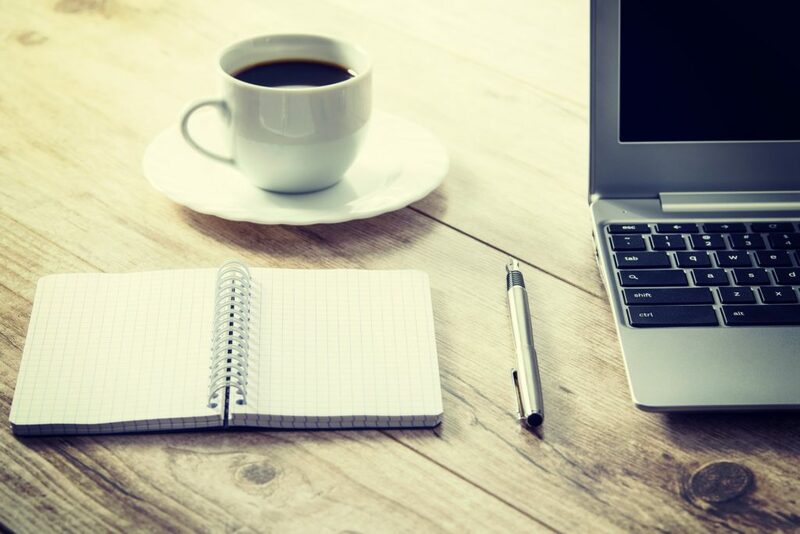 Fallacy of incomplete evidence – This relates to the selective cherry-picking of facts or statistics to back up a particular claim, while omitting other relevant information that would contradict the said claim. Straw man fallacy – Misrepresenting someone’s argument by twisting their words into a distorted version that is easier to defeat. Essentially, it symbolises fabricating a false opponent (a man made from straw) which is easy to ‘knock down’. Proof by intimidation (Argumentum verbosium) – Bombarding your opponent with sufficient jargon for them to back down and accept your argument. Hasty generalization – Also known as a fallacy of insufficient sample, this is when someone rushes into a generalized conclusion without sufficient evidence. Sweeping generalization – The opposite of a hasty generalization, this is where a general statement is applied too broadly, without considering the individual aspects. Appeal to purity (No true Scotsman fallacy) – This is where relevant examples are dismissed or excluded if they fail to fit a narrow definition. Fallacy of composition – To argue that if something applies to the individual parts, it must also apply to the whole. Fallacy of division – The opposite of a fallacy of composition – in other words, to argue that if something applies to the whole, it must also apply to the individual parts. 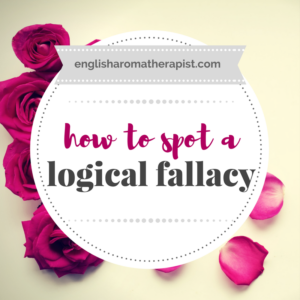 Understanding how to spot common logical fallacies is helpful in all aspects of life – not just aromatherapy advice. So, next time you read a blog post or listen to a presentation – spot the fallacy! Is it a legitimate argument, or one based solely on logical errors?